The Ministry of Foreign Affairs participated in the joint meeting with the General Secretariat of the Gulf Cooperation Council (GCC), while the members of the meeting were agreed to strengthen the economic, political and social relations between the countries. 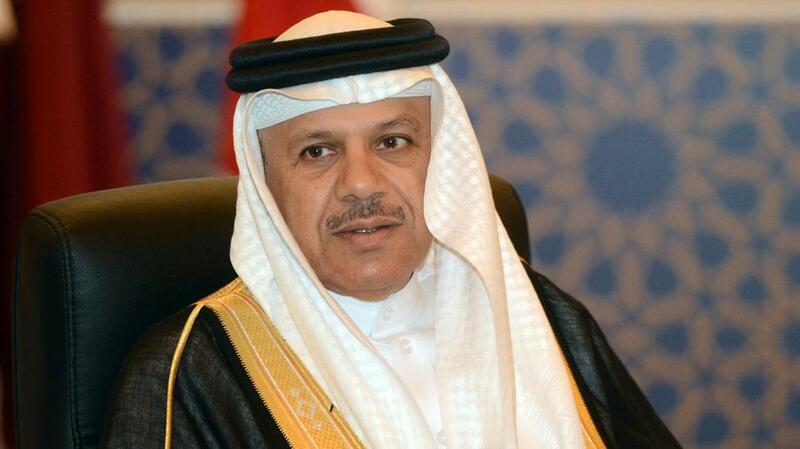 "Senior Foreign Ministry Undersecretary Ambassador Nizar Al-Khairallah participated in the joint meeting with the General Secretariat of the Gulf Cooperation Council (GCC) under the chairmanship of Assistant Secretary-General for Political Affairs Hamad Al-Awaishik and the negotiations in the Council in Riyadh," the ministry said in a statement. The meeting included discussing ways to strengthen relations between Iraq and the GCC in all areas: political, economic, security, cultural, information, education, health and sports in light of the outcomes of the joint work plan for the period 2014-2024 agreed between the two sides. The two sides agreed to "strengthen political, strategic and security, combat extremism, as well as strengthen economic relations between the two sides through the formation of a joint committee to follow up the implementation of what was agreed upon." Re: In detail .. This is what Iraq agreed with the GCC countries? The Council was established under the leadership of Saudi Arabia and under pressure from the United States the May 25 , 1981, with the aim of ensuring the economic and political stability of the region 5 . It consists of Saudi Arabia , to Oman , from Kuwait to Bahrain , the UAE and Qatar 6 . The Council is thus a very political "club" of Sunni petrolarchies who are concerned about security against Shiite Iran or the neighboring civil wars ( Iraq , Syria ) which also aims to unify the economic and financial system of the Member States. An internal security agreement was signed in 1982 between the member states following a coup attempt in Bahrain in December 1981 . At the military level, the armed forces of the countries of the Arabian Gulf Cooperation Council have been organizing since 1983 joint maneuvers called the Shield of the Peninsula . At the Kuwait ( 1984 ) and Muscat ( 1985 ) summits , it was decided that the units participating in these maneuvers form a "joint deployment force" whose headquarters are in Hafar Al-Batin , in the north-east of Saudi Arabia7 . His commander is a Saudi general. Finally, GCC defense ministers reactivate the Arab Industries Organization (OIA) project, in which Egypt was involved, and build several arms factories manufacturing ammunition and light weapons as well as licensed light armored vehicles. Brazilian [ref. necessary] . At the end of the Iran-Iraq war , Saddam Hussein created a rival organization, the Arab Cooperation Council (en) (CCA) which then brings the Jordan , the Iraq , the North Yemen and Egypt . The CCA is openly hostile to the Saudi kingdom. On 10 August 1990 , the States of the Council support Kuwait following the invasion of the emirate by the Iraqi army . The forces of Member States participating in this conflict are not under a common flag but grouped with other pan-Arab units in the Joint Command-East Forces ( Coalition of the Gulf War (in) ) and Joint Forces Command North . The fall of Saddam Hussein is the end of the CCA, and Yemen is currently negotiating to join the Arab Gulf Cooperation Council, of which it is expected to become a member in 2016 . The May 12 , 2012, the countries of the Cooperation Council of the Arab States of the Arabian Gulf met in Riyadh to think about a project of union to counterbalance the Iranian threat to the region. The Iranian parliament condemned this declaration of union of these countries 8 . The same year, the Minister of Defense Saadoun al Iraqi-Dulaimi said that Iraq wants to join the GCC decision supported by Kuwait 9 . Senior Undersecretary of the Ministry of Foreign Affairs Nizar al-Khairallah participated in the joint meeting with the General Secretariat of the Gulf Cooperation Council (GCC) under the chairmanship of Hamad al-Awaishek, Assistant Secretary-General for Political Affairs, and the negotiations in the Council in Riyadh. "The meeting included discussing ways to strengthen relations between Iraq and the GCC in all areas: political, economic, security, cultural, information, education, health and sports in the light of the outcomes of the joint work plan for the period 2014," the statement said. 2024 agreed between the two sides'. According to the statement, the two sides agreed to "strengthen political, strategic and security, and combat extremism, as well as strengthen economic relations between the two sides through the formation of a joint committee to follow up the implementation of what was agreed upon." 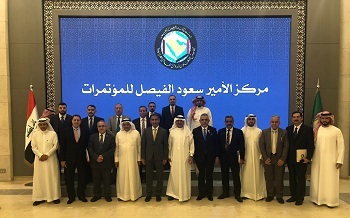 A high-level Iraqi Gulf meeting was held in Riyadh, Saudi Arabia, which resulted in an Iraqi-Gulf plan of action starting from Riyadh as the fruit of the first high-level meeting between Iraq and the GCC Secretariat for more than 30 years. For the launch of an investment conference in Baghdad soon, to receive Gulf investments in Iraq. Al-Sharq Al-Awsat newspaper quoted Iraqi Ambassador to Saudi Arabia Qahtan Al-Janabi as saying that "Riyadh yesterday witnessed the launch of a strategic joint action plan between Iraq and the GCC General Secretariat, which included the signing of memorandums aimed at enhancing cooperation between the two sides in five vital sectors "He said. Al-Janabi said that "a meeting was held yesterday in the Saudi capital Riyadh between an Iraqi delegation led by Nizar al-Khairallah, the senior agent of the Foreign Ministry and the General Secretariat of the Gulf Cooperation Council, headed by Assistant Secretary-General for Political Affairs and Negotiations, Joint between Iraq and the Gulf Cooperation Council countries, "revealing an" investment conference, will be arranged soon in Baghdad during this year. " "This plan was approved yesterday by the Iraqi Council of Ministers and the General Secretariat of the Gulf Cooperation Council, which is now ready and will be worked on by both parties with a view to activating its details and forming a joint Iraqi-GCC committee." According to Ambassador Janabi, under the plan, memoranda of understanding will soon be signed between the two parties "to strengthen cooperation and partnership in the political, security and military sectors to coordinate political positions and consultations on regional and international issues, as well as military coordination and training, to enhance security in the region and combat terrorism, the organization". "The second sector in this plan of cooperation is the commercial and economic investment sector to explore and exploit the great opportunities in Iraq by the GCC countries and to facilitate the movement of goods between Iraq and the GCC countries by signing memorandums of understanding to facilitate the movement of goods, With the standards and customs, "pointing out that" the third sector is education, to exchange experiences and provide scholarships and cooperation and coordination of positions and twinning of universities, while the fourth sector includes health and the environment, through the adoption of health programs and the exchange of training and expertise in the medical and health. " "The GCC countries are keen to create consensus and agreement with Iraq on the environment and its health as a vital area, especially as Iraq is an important part of the region, in the presence of other countries, to develop a strategy to protect the environment and Iraq is ready to sign and implement what is agreed upon "He said. The Iraqi ambassador stressed that "the fifth sector in this plan is the sports sector and youth," adding that "the two sides stressed the importance of activating Iraq's membership in the GCC system in this sector specifically, and work to integrate various types of sports in Iraq with their counterparts in the GCC countries , As well as to promote youth outreach on both sides. " A statement issued on the joint meeting between the General Secretariat of the Council of Cooperation and Iraq yesterday, and that the meeting came from linking the GCC States in Iraq, the bonds of fraternity and neighborliness, and their common interests and destiny, and lofty goals, achieving the welfare and development of peoples. The two sides agreed to form a joint committee to follow up and continue coordination and consultation between the two parties, "he said. The two sides discussed ways to strengthen the existing relations between GCC states and Iraq in the economic, political, security, cultural, media, education, health and sports fields in the light of the joint work plan for the period from 2019 to 2024, agreed upon by the two sides. The two sides agreed to strengthen strategic political coordination between the two sides to enhance security and stability in the region, combat terrorism and promote economic plan in the fields of trade, industry, investment, oil, energy, agriculture and the private sector. The Iraqi Ministry of Trade revealed the details of the future work plan between Iraq and the Gulf Cooperation Council (GCC), which was agreed during the meeting held in the Saudi capital Riyadh last week. The Undersecretary of the Iraqi Ministry of Commerce, Haitham Al-Khashali, said that the plan of cooperation included investment, trade and economic sectors, to explore and exploit the great opportunities in Iraq, by the GCC countries. He added in a statement to the Iraqi News Agency - conscious that it was agreed to facilitate the movement of goods between Iraq and the GCC countries, through the signing of memorandums of understanding to facilitate the movement of goods, consistent with standards and customs. He explained that the plan includes cooperation in the field of education through the exchange of experiences, scholarships, cooperation, coordination of positions and twinning of universities. He pointed out that cooperation also covered the health and environment sectors through the adoption of health programs and the exchange of training and expertise in the medical and health fields. He said that the GCC countries are keen to create consensus and agreement with Iraq on the environment and health as a vital area, especially as Iraq is an important part of the territory of the region, in the presence of other countries; to develop a strategy to protect the environment, Iraq is ready to sign and implement what is agreed upon . The two sides agreed to form a joint committee to follow up and to continue coordination and consultation between the two sides, "he said . 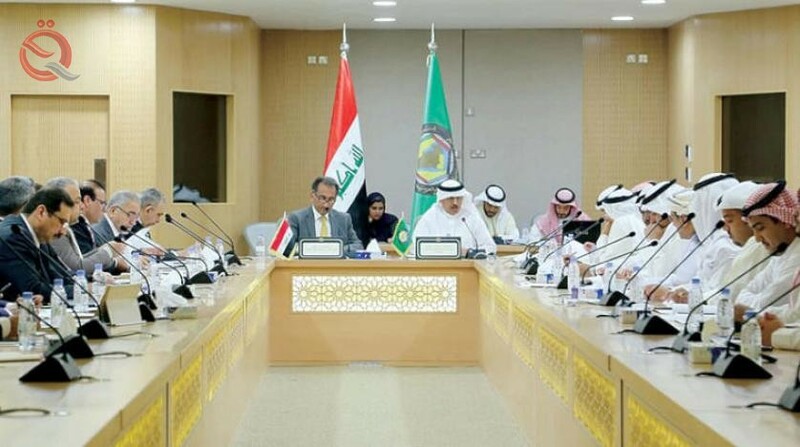 The statement pointed out that the two sides discussed ways to strengthen the existing relations between Iraq and the GCC countries in the economic, political, security, cultural, media, education, health and sports, in the light of the joint work plan for the period from 2019 to 2024, agreed upon by both sides. 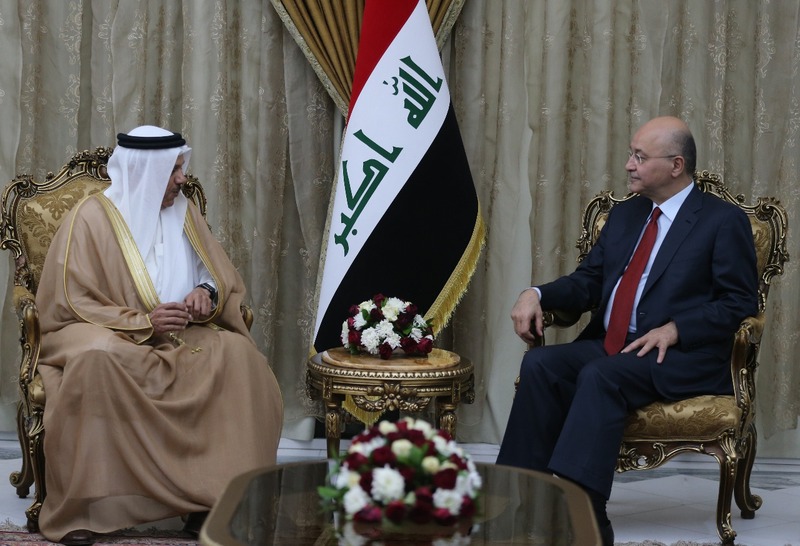 delegation from the Gulf Cooperation Council (GCC) arrived in Baghdad on Tuesday. 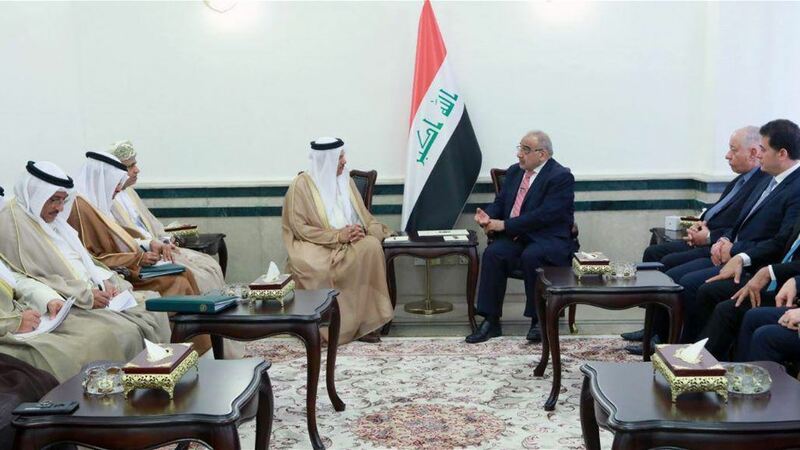 "A delegation from the Gulf Cooperation Council (GCC) headed by Amin Abdullatif al-Zayani arrived in Baghdad," the official news channel said. - Speaker of the House of Representatives Mohammed Al Halbusi received on Tuesday the Secretary-General of the Gulf Cooperation Council Abdul Latif bin Rashid Al-Zayani and his accompanying delegation. The meeting discussed the creation of a joint work plan to establish the relationship between Iraq and its brothers and the signing of a memorandum of understanding, Cooperation with the Gulf Cooperation Council countries "
his part praised al-Zayani efforts of the Presidency of the House of Representatives in the success of the Baghdad Summit of parliaments of neighboring countries of Iraq, In various areas; for the stability of the region. 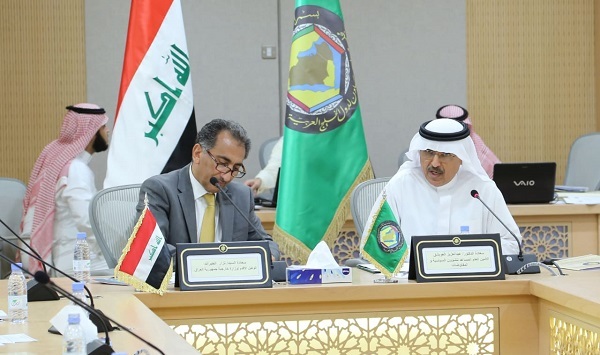 The Iraqi Foreign Ministry on Wednesday signed a memorandum of understanding with the Gulf Cooperation Council (GCC) for political consultations. "Foreign Minister Mohammed Ali al-Hakim received today the secretary-general of the Gulf Cooperation Council, Abdullatif bin Rashid Al-Zayani. The two sides discussed the special relations between Iraq and the GCC countries and how they can be upgraded to meet the needs of the GCC," the ministry said in a statement. The ambition of our Arab peoples ". "The two sides signed a memorandum of understanding for political consultations that allows for regular dialogues on issues of common concern," the statement added. During the meeting, al-Hakim stressed "the depth of relations between Iraq and the GCC countries," adding that "we have strong and strong relations with the GCC countries." He added that "these visits contribute to strengthening ties and achieving joint cooperation among the countries of the region," noting that "we cherish the visits of brothers from the Gulf Cooperation Council countries because they contribute to exchanging views, listening to their views and informing them of progress in Iraq, , And the safety of the Gulf is of security, and the safety of Iraq. " On the Arab issue, al-Hakim expressed "Iraq's aspiration to end the Yemeni crisis by peaceful means, and the formation of a government of national unity that strengthens the unity and integrity of Yemen as a whole." 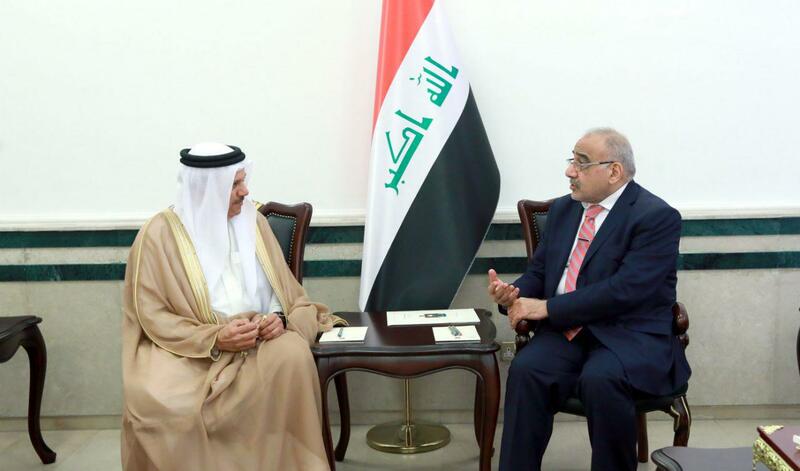 The Secretary-General of the Gulf Cooperation Council, Abdul Latif bin Rashid al-Zayani, on Wednesday, Iraq to overcome past differences left by the policies of the former regime. "President Barham Saleh received today at the Peace Palace in Baghdad the secretary-general of the Gulf Cooperation Council (GCC), Abdullatif bin Rashid Al-Zayani and his accompanying delegation," the presidential statement said. 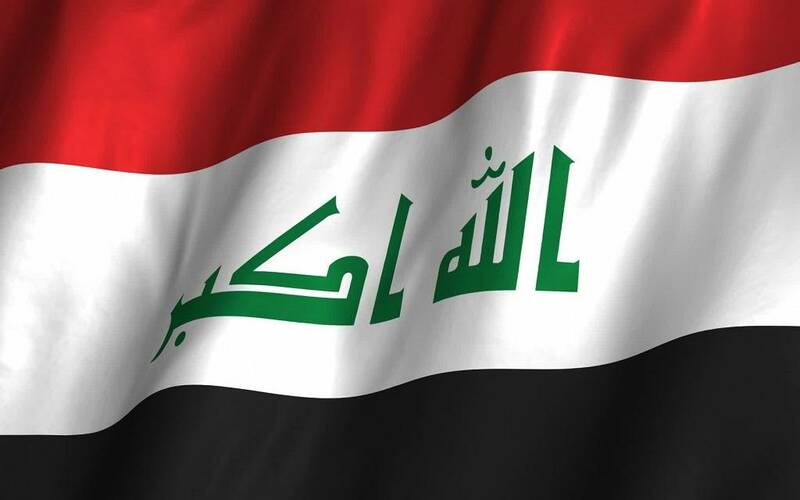 The statement added that "the Secretary-General gave an explanation on their visit to Baghdad and the prospects for cooperation between Iraq and the Gulf States and to look optimistically for the future of these relations and overcome the differences of the past left by the policies of the former regime." During his meeting, the President affirmed that "the security, political and economic conditions in the region require everyone to coordinate efforts, strengthen cooperation and bring together views to achieve stability and prosperity for the peoples of the region." GCC leaders have decided on the importance of a strategic partnership with Iraq, the Secretary-General of the Gulf Cooperation Council, Abdul Latif al-Zayani, said on Wednesday. The media office of Prime Minister Adel Abdul Mahdi, in a statement received / Mawazine News / copy, that "Abdul Mahdi received in his official office today, Secretary General of the Gulf Cooperation Council Arab Gulf Abdul Latif Zayani. "Iraq's relations with its surroundings need to be replaced," he said. "Iraq must live and advance without cooperation and harmony with its Arab neighbors and neighbors." He added that "our foreign policy is consistent with our vision and internal policy and our foreign orientations sincere and serious in establishing the best relations and exchange of interests with the Arab and neighboring countries, which is a serious policy and stems from the interests of our peoples and our countries." He pointed to "developments in Iraq, security stability and cooperation between the executive and legislative branches "He said. For his part, Al-Zayani said: "I convey to you the greetings of the leaders of the GCC and provide the political will and sincere intentions to support Iraq and its government and security and stability and prosperity and our support for all you do to serve Iraq and its people." He said: "We are very optimistic in your leadership to achieve the interests of Iraq and all Iraqis, Of stability and normal life. " He pointed out that "Baghdad today is very different from what we saw earlier," explaining that "
"The leaders of the Gulf have taken a decision on the importance of strategic partnership with Iraq and strive to get to that." The statement said that "the meeting discussed the future of the relationship between Iraq and the GCC countries and means of strengthening them in all fields." He said that the meeting was attended by a member of the Foreign Relations Committee in the House of Representatives, Melhan Al-Mukhtar and the Deputy Foreign Minister and a number of officials and advisers. confirmed Prime Minister Adel Abdul - Mahdi, Wednesday, Iraq 's relations with its surroundings should be no substitute for them, while said Secretary General of the Gulf Cooperation Abdul Latif Al - Zayani states that the leaders of the GCC countries have the political will and intentions of the sincere support of Iraq and its government, security and stability. "The Prime Minister Adel Abdul Mahdi received the Secretary General of the Gulf Cooperation Council, and the meeting discussed the future of the relationship between Iraq and the GCC countries and means of enhancing them in all fields. The meeting was attended by a member of the Relations Committee, Abdul Mahdi said in a statement received by Alsumaria News. Minister of Foreign Affairs and a number of officials and advisers. " The statement quoted Abdul-Mahdi as saying that "Iraq's relations with its surroundings need to be replaced, and must be a home for peace and love, and Iraq can not live and progress without cooperation and harmony with the Arab environment and its neighbors." He added that "our foreign policy is consistent with our vision and internal policy, and our foreign orientations sincere and serious in establishing the best relations and exchange of interests with the Arab and neighboring countries, which is a serious policy and stems from the interests of our peoples and our countries," referring to "developments in Iraq and security stability and cooperation between the executive authorities And legislative. " 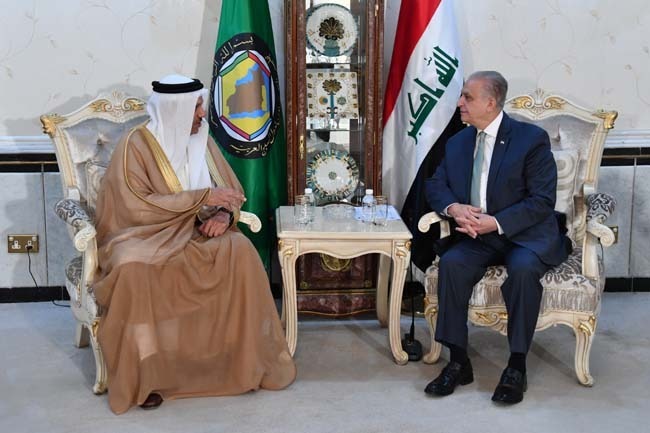 For his part, Al-Zayani conveyed "greetings of the leaders of the GCC and provide the political will and sincere intentions to support Iraq and its government and security and stability and prosperity and our support for all you do to serve Iraq and its people. We are very optimistic in your leadership to achieve the interests of Iraq and all Iraqis. He added that "Baghdad today is very different from what we saw previously, and that the region all need stability, and that this opportunity is available today more than ever before," asserting that "the Gulf leaders have taken a decision on the importance of strategic partnership with Iraq and strive to reach that "He said.